In this paper, we propose a multiobjective differential evolution (MODE)-based feature selection and ensemble learning approaches for entity extraction in biomedical texts. The first step of the algorithm concerns with the problem of automatic feature selection in a machine learning framework, namely conditional random field. The final Pareto optimal front which is obtained as an output of the feature selection module contains a set of solutions, each of which represents a particular feature representation. In the second step of our algorithm, we combine a subset of these classifiers using a MODE-based ensemble technique. Our experiments on three benchmark datasets namely GENIA, GENETAG and AIMed show the F-measure values of 76.75, 94.15 and 91.91 %, respectively. Comparisons with the existing systems show that our proposed algorithm achieves the performance levels which are at par with the state of the art. These results also exhibit that our method is general in nature and because of this it performs well across the several domain of datasets. 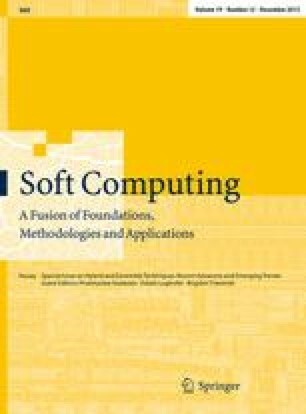 The key contribution of this work is the development of MODE-based generalized feature selection and ensemble learning techniques with the aim of extracting entities from the biomedical texts of several domains.